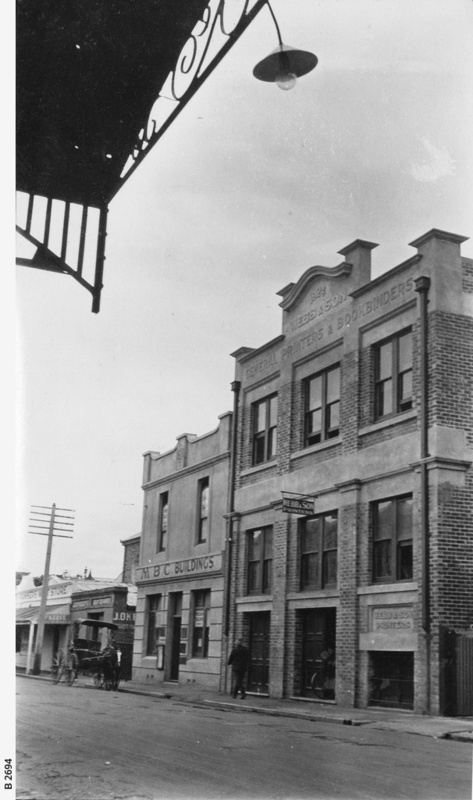 Gawler Place, Adelaide, west side, on April 8th, 1925, showing the newly completed premises of Webb & Son, Printers and Bookbinders. For a view of the house which formerly occupied this site, see B1844. The near side of Webb's is 47 yards north of Wakefield Street, and the far side of Metropolitan Building Co.'s premises is 26 yards north of Wakefield Street.